Members of the Ocean State Orchid Society were saddened to learn of the passing of founding member, Aaron Wold, on Oct. 3, 2018, at the age of 91. Aaron was born and educated in Brooklyn, New York, earning his Ph.D from the Polytechnic Institute of Brooklyn in 1952. In 1963, he joined the faculty of Brown University and was the Vernon Krieble Chaired Professor of Chemistry until his retirement in 1992. 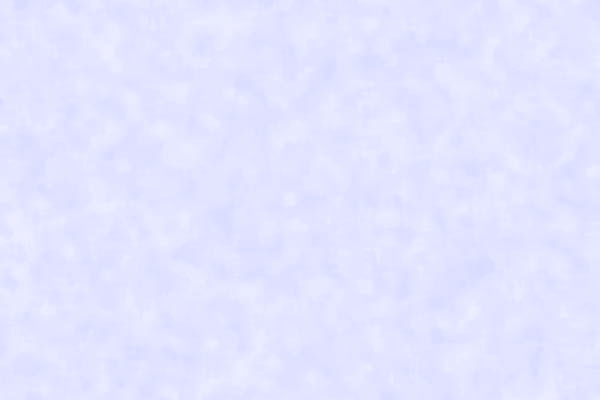 He has written two books and published over 300 papers in the field of solid state chemistry. 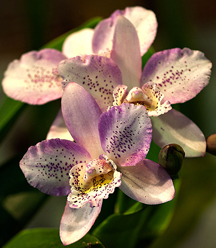 Aaron was an avid orchid grower for more than 60 years, and raised over 550 rare orchids in his greenhouse. Members of the OSOS knew him as a regular attendee at club meetings and the go-to resource for anyone who had questions about orchids and orchid culture. 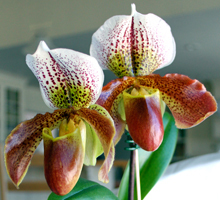 He was unfailingly generous with his extensive knowledge, which he was always willing to share, not only with his fellow OSOS members, but also with the many orchid experts who gave talks to the club. When Aaron started to speak, everyone, including the speakers, most of whom already knew and respected him, were eager to listen to what he had to say. Aaron leaves his wife of 60 years, Dr. Patricia Wold, his three children, Dr. Marshall Wold, Leo Wold, Esq., and Miriam Wold, as well as four grandchildren: Ethan Wold, Maya Wold, David Finstein, and Aaron Wold. The OSOS extends its deepest sympathy to Aaron’s family. Those Saturday meetings won’t be the same without him. The purpose of the Society is to create, promote, develop and preserve a group dedicated to the education and enjoyment of all aspects of orchids. 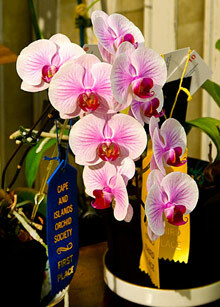 At each monthly meeting we have a 'Grow and Show' table to display and discuss orchids grown by our members. We also have a 'Slow Plant' clinic for those orchids requiring culture information. Guests are always welcome at our meetings. If you would like to become a member please visit our membership page. Visit the calendar page to see what's up this month! 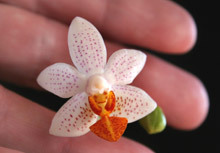 OSOS is an officially affiliated organization of the American Orchid Society and the Orchid Digest.